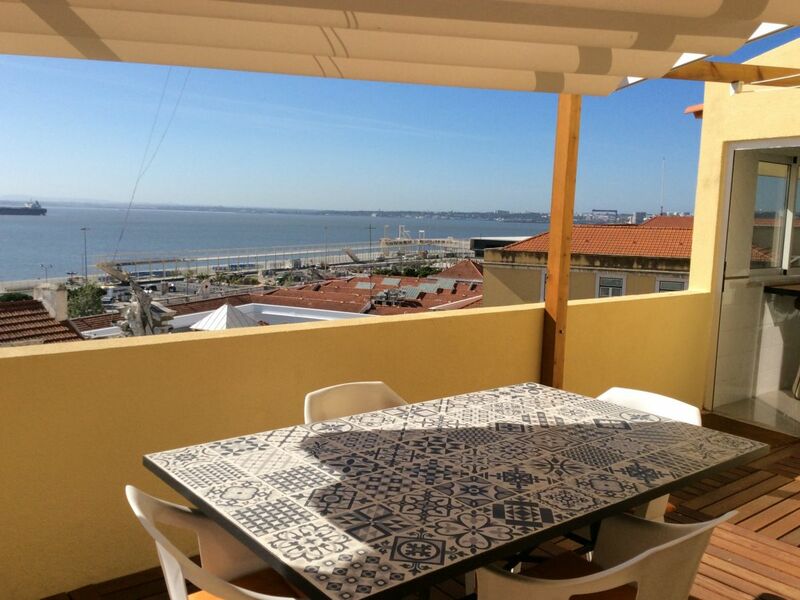 Enjoy this little corner of paradise in Alfama neighborhood! 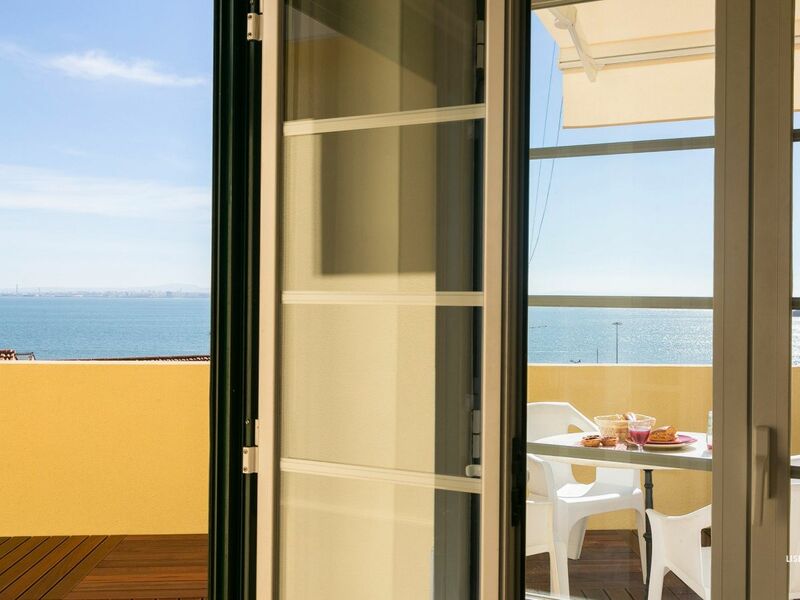 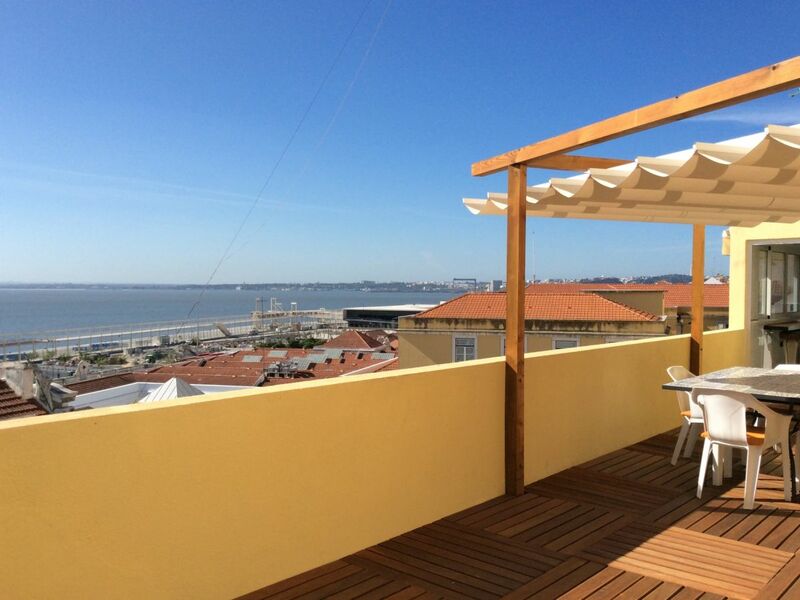 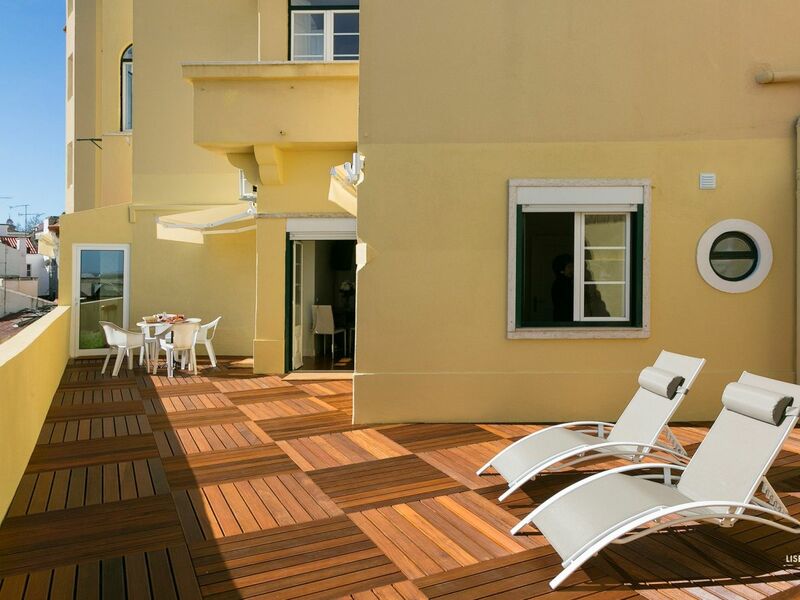 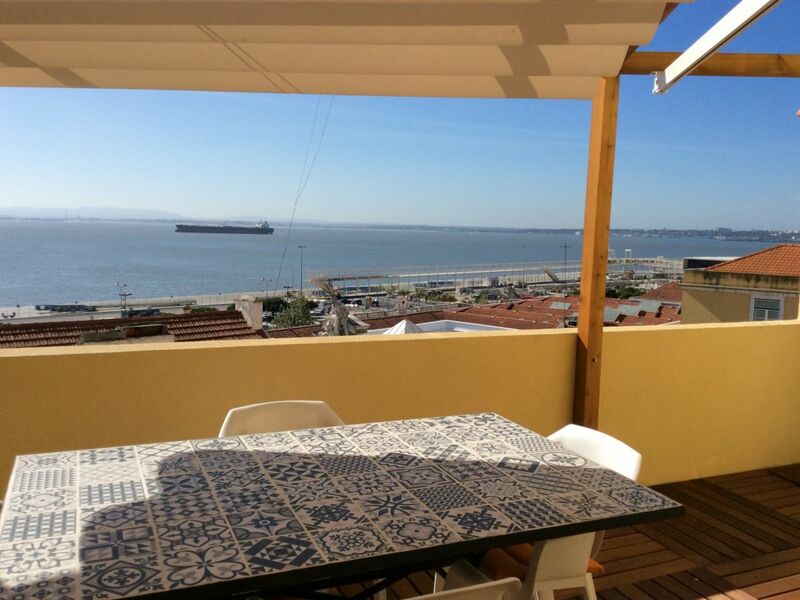 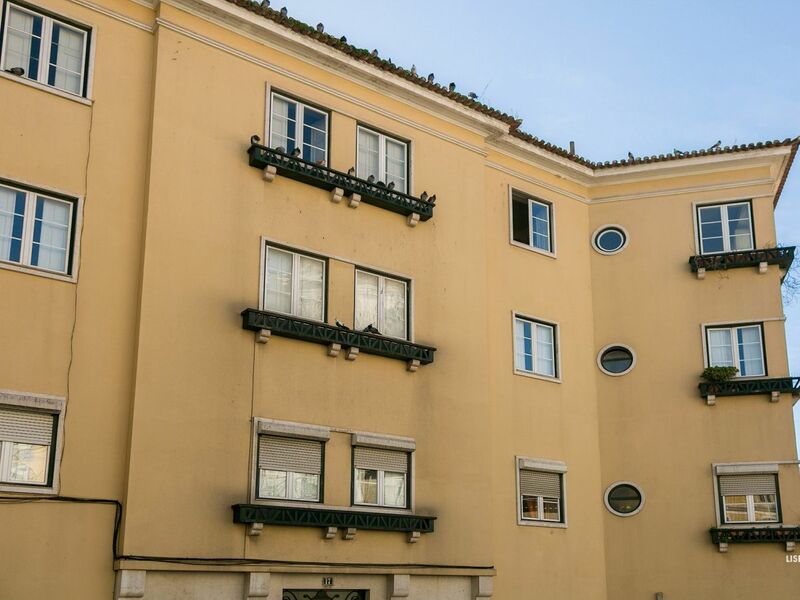 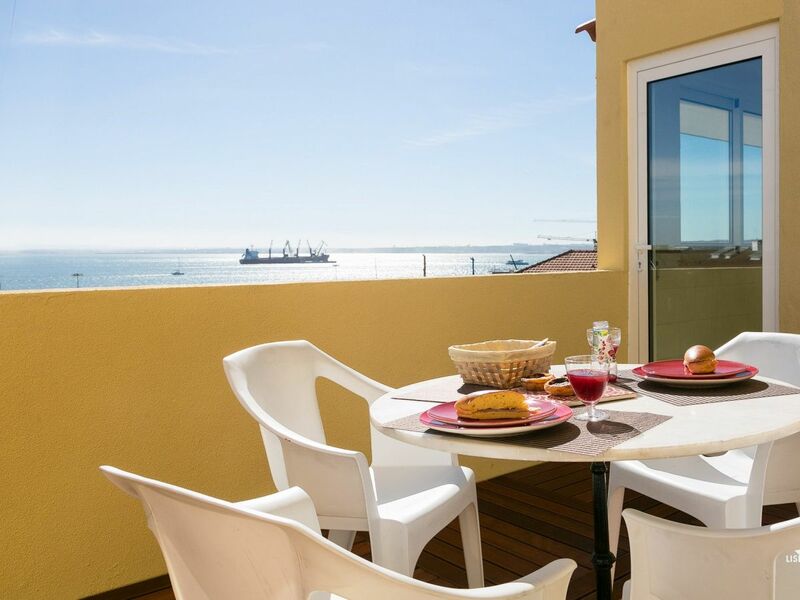 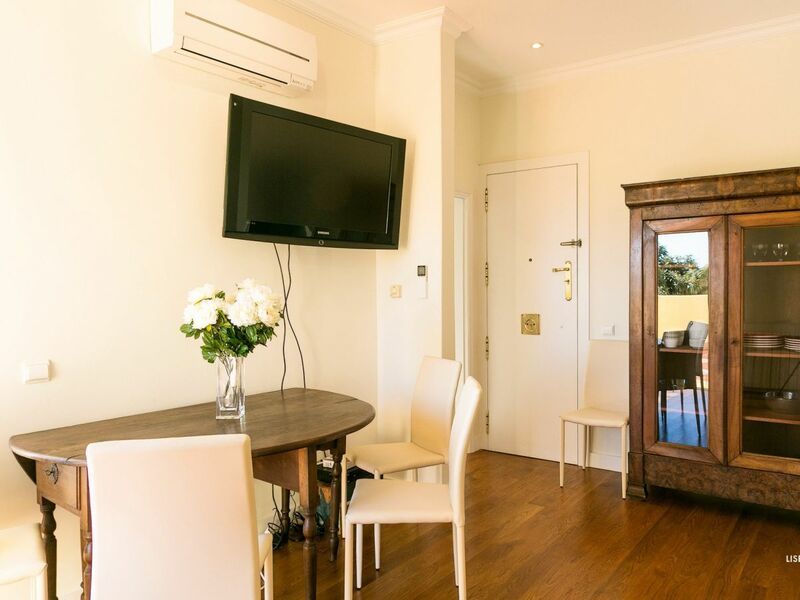 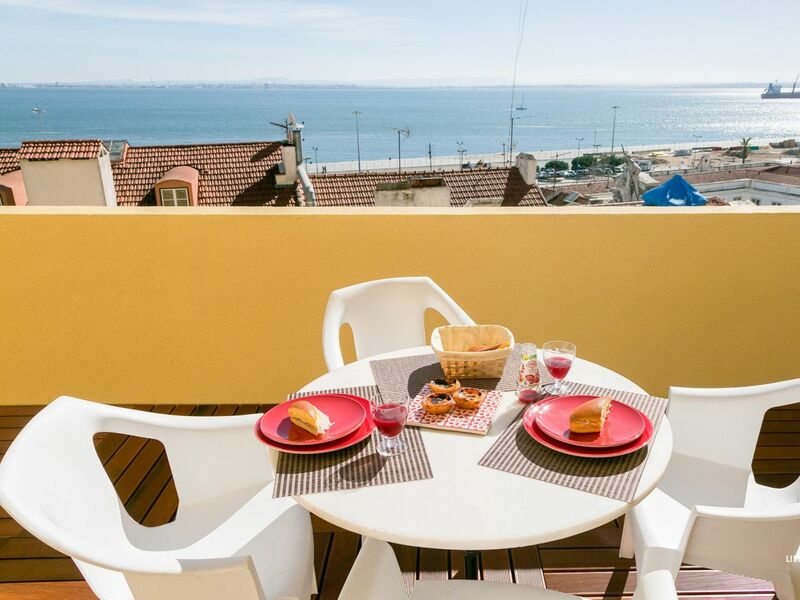 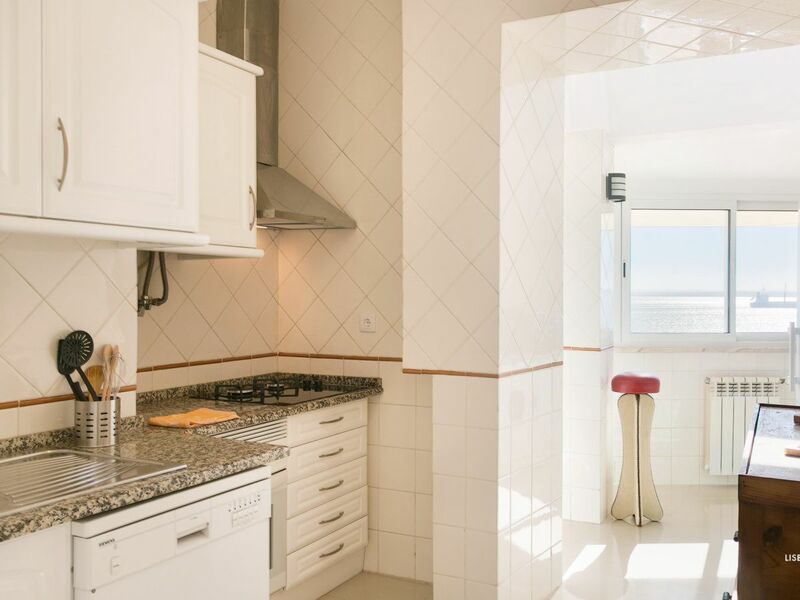 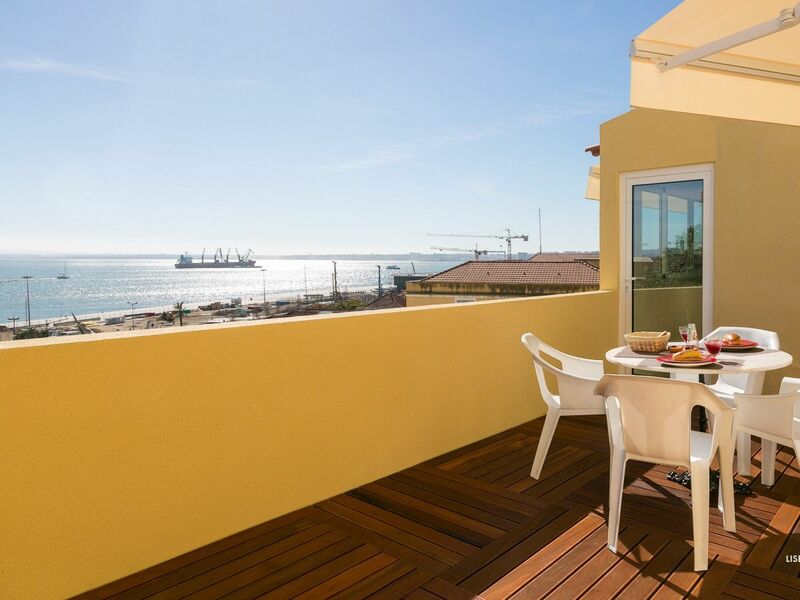 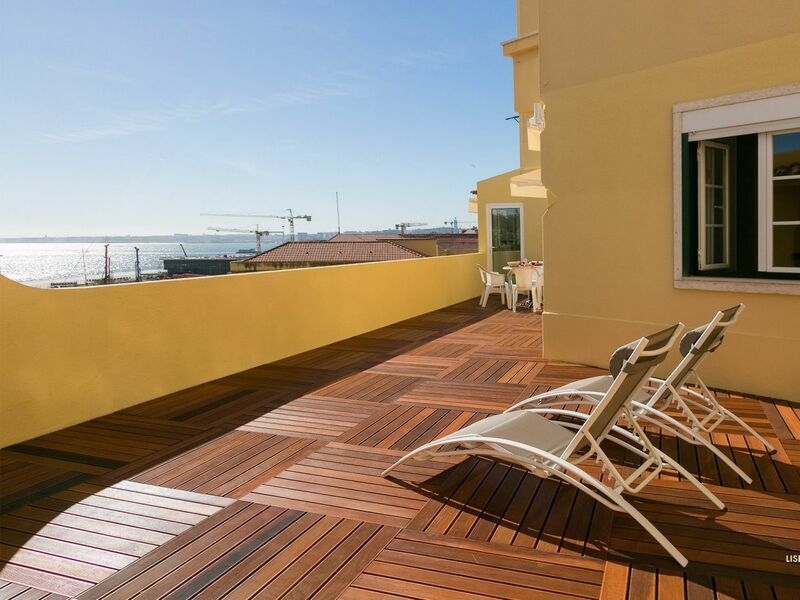 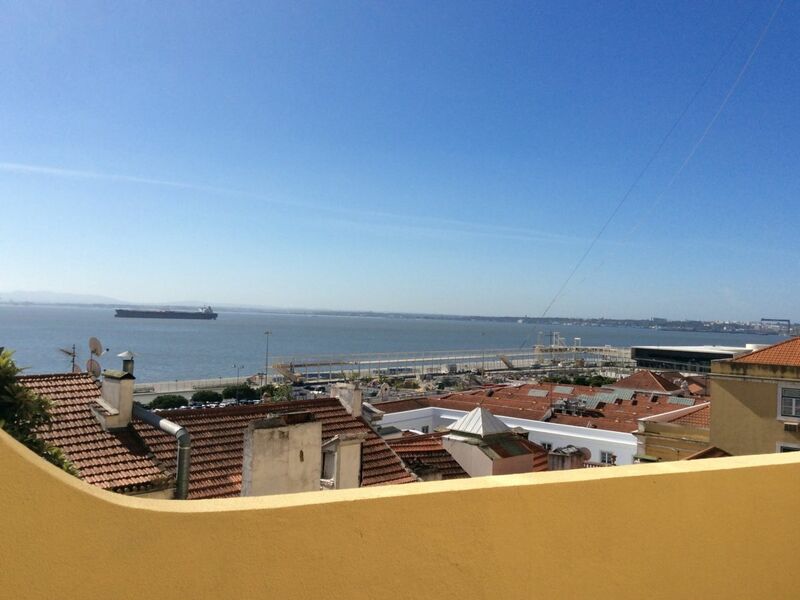 In the oldest district of Lisbon, this completely renovated apartment has a wonderful 75 sq terrace with a fantastic view over the Tagus river. 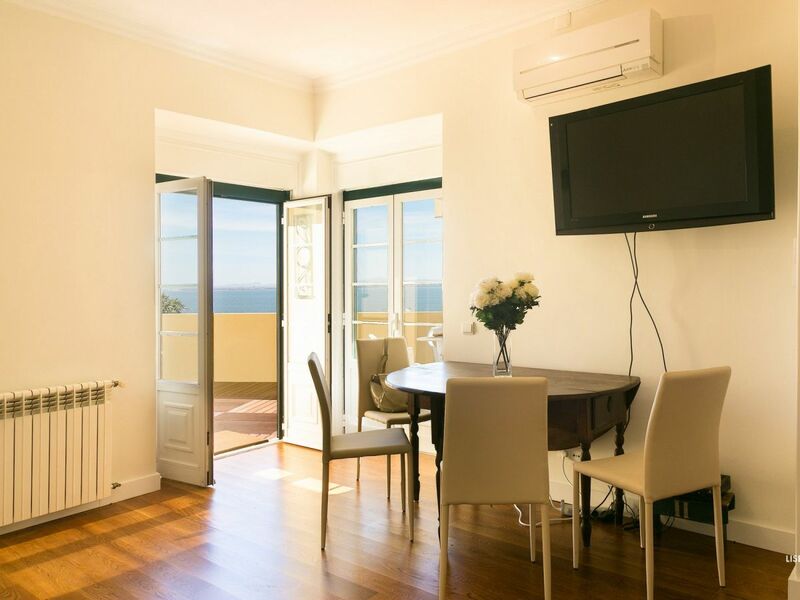 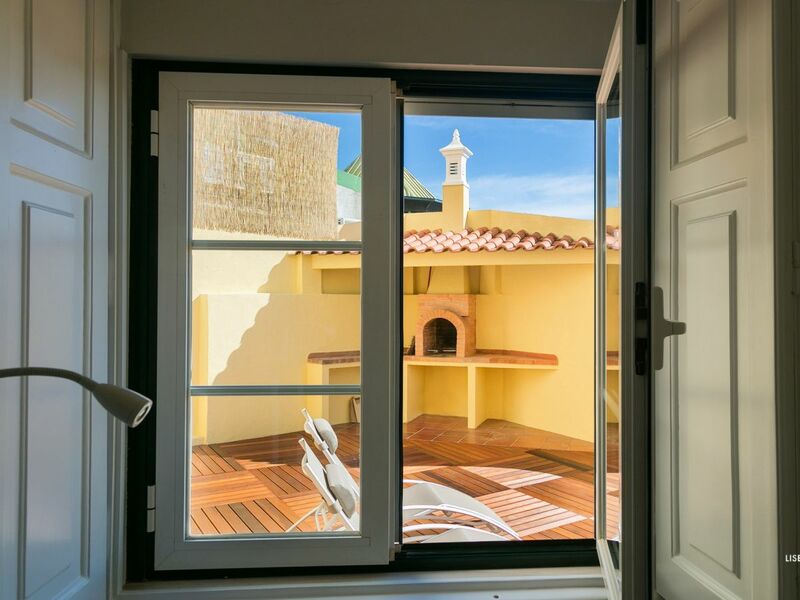 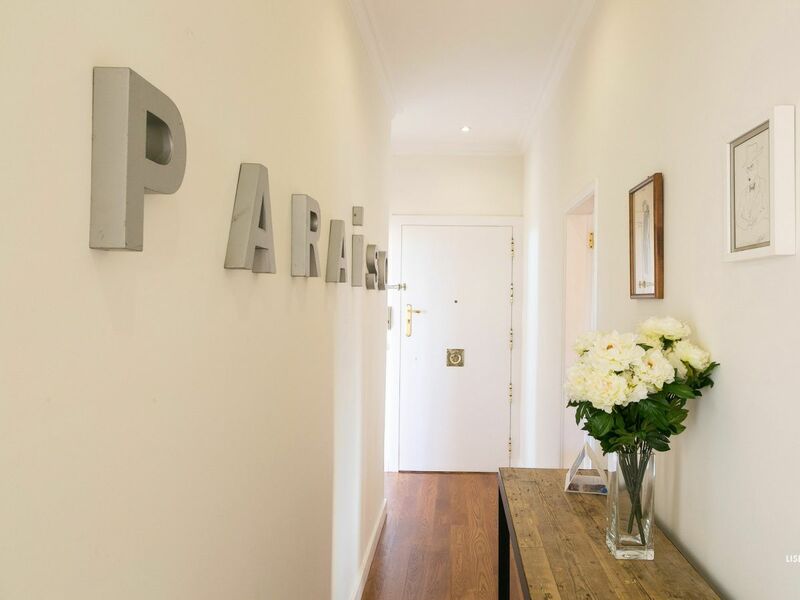 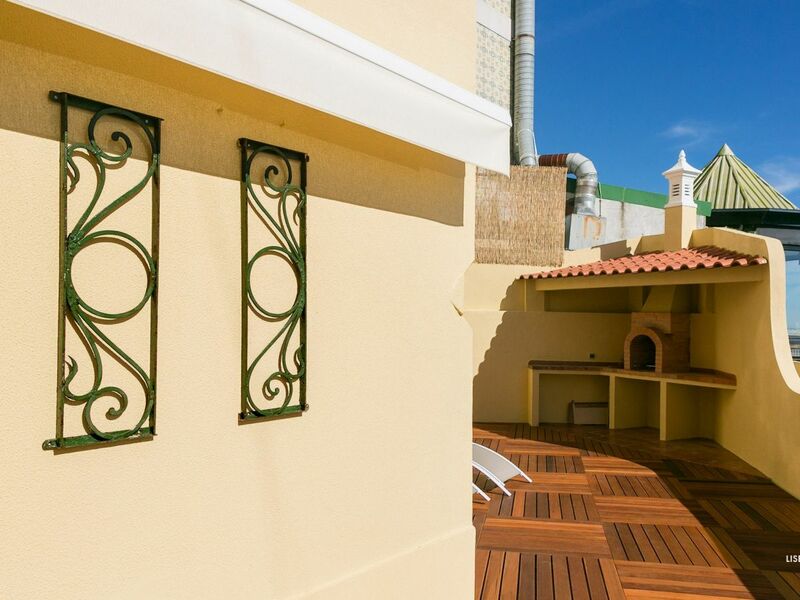 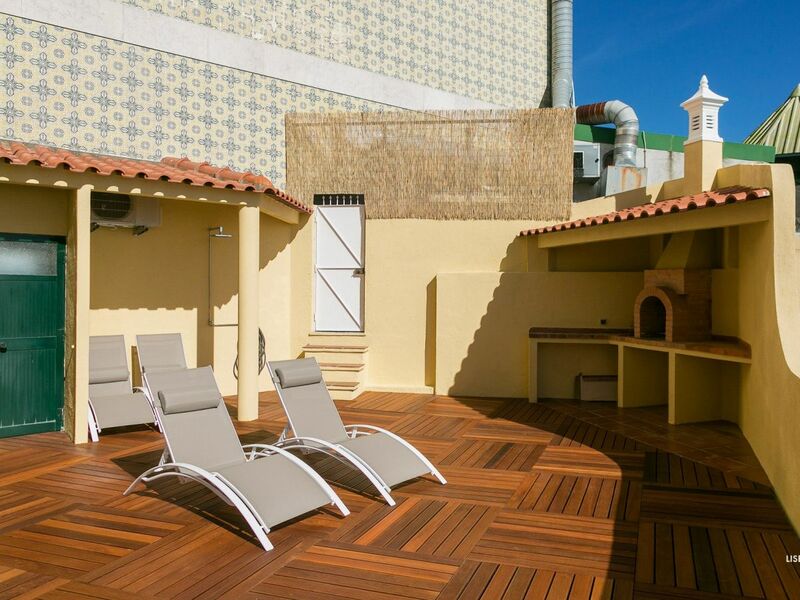 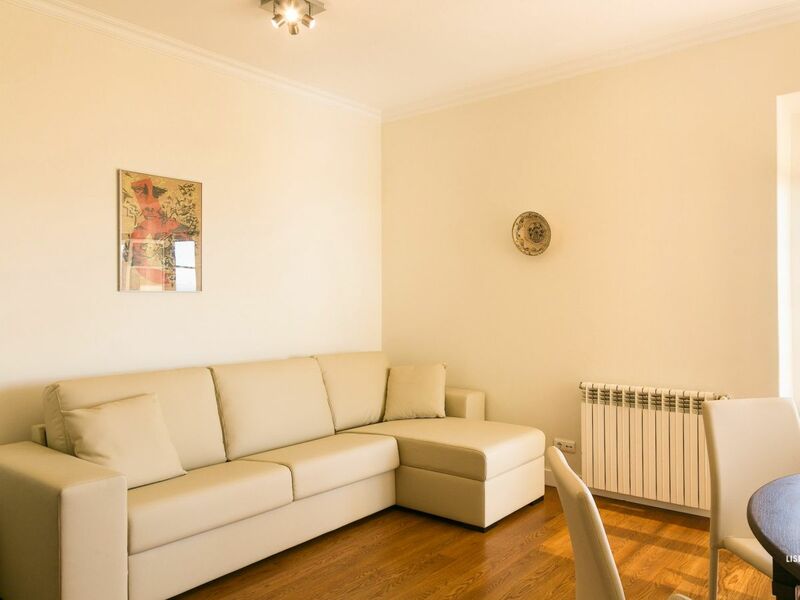 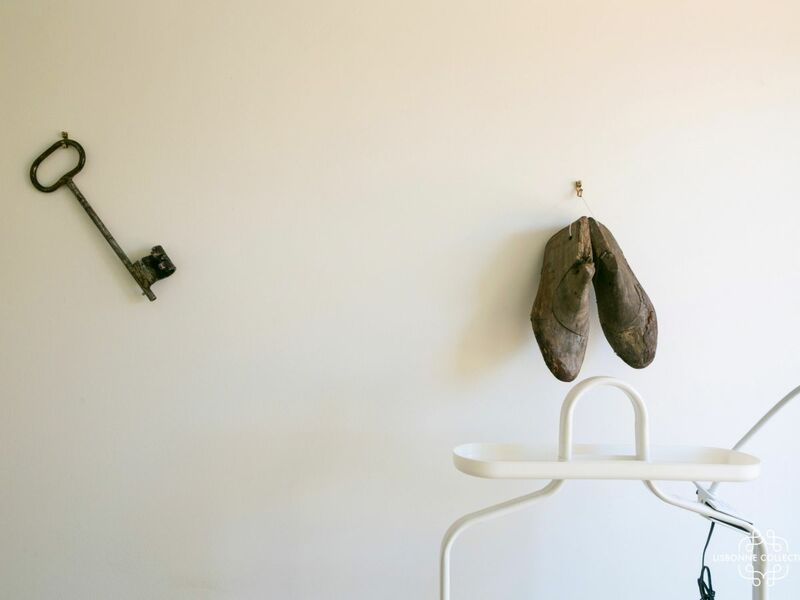 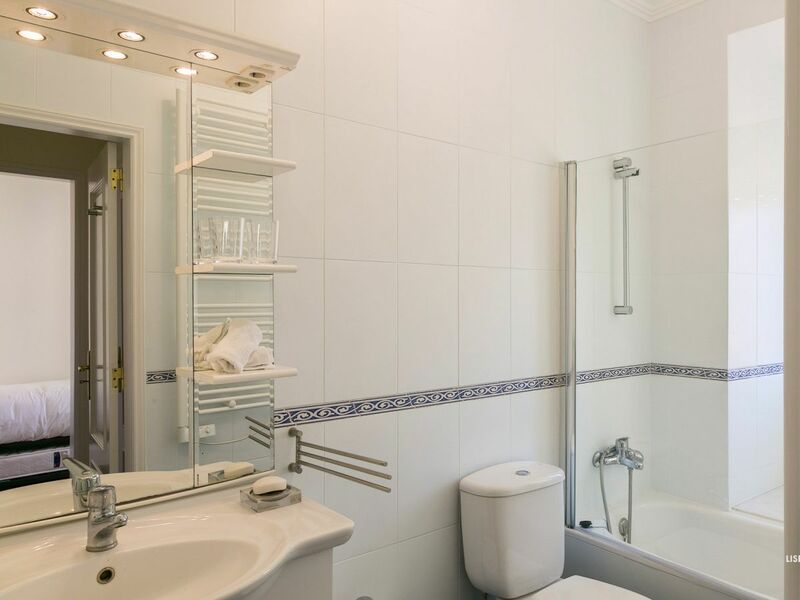 This bright apartment with an authentic interior will allow you to enjoy the lovely Portuguese weather. 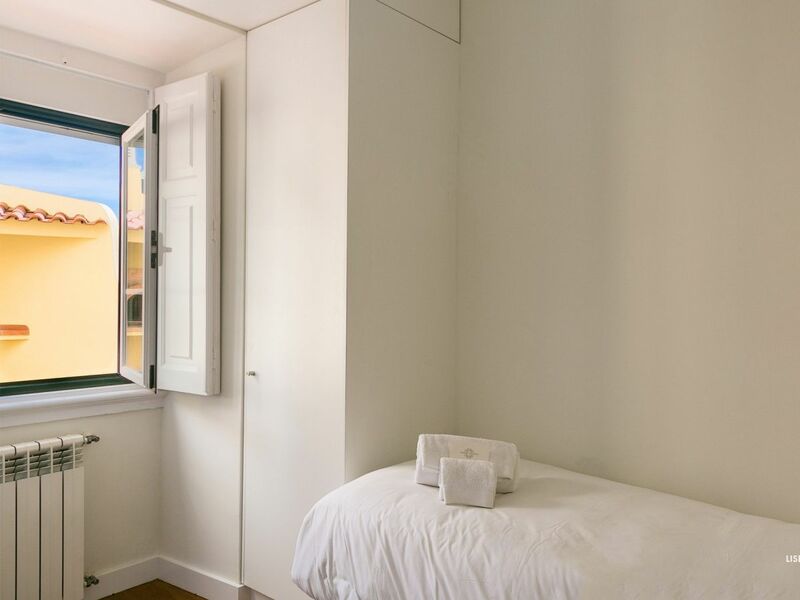 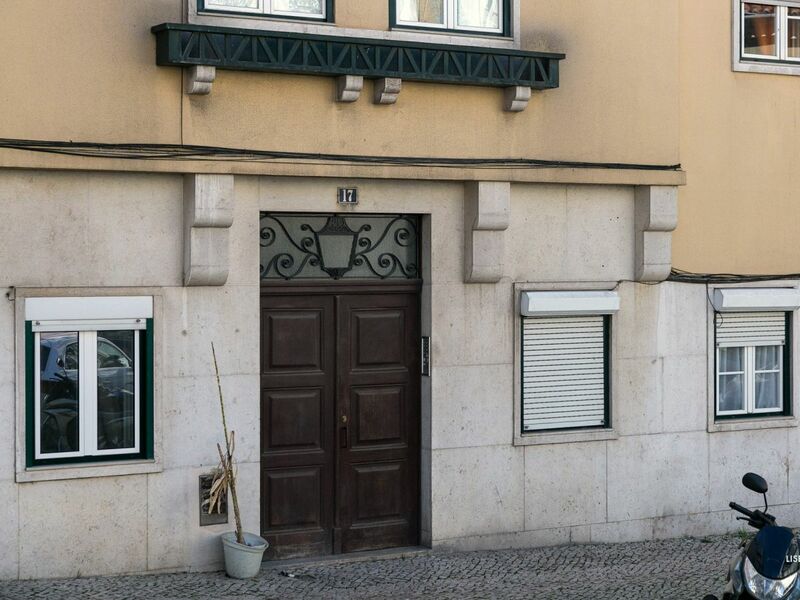 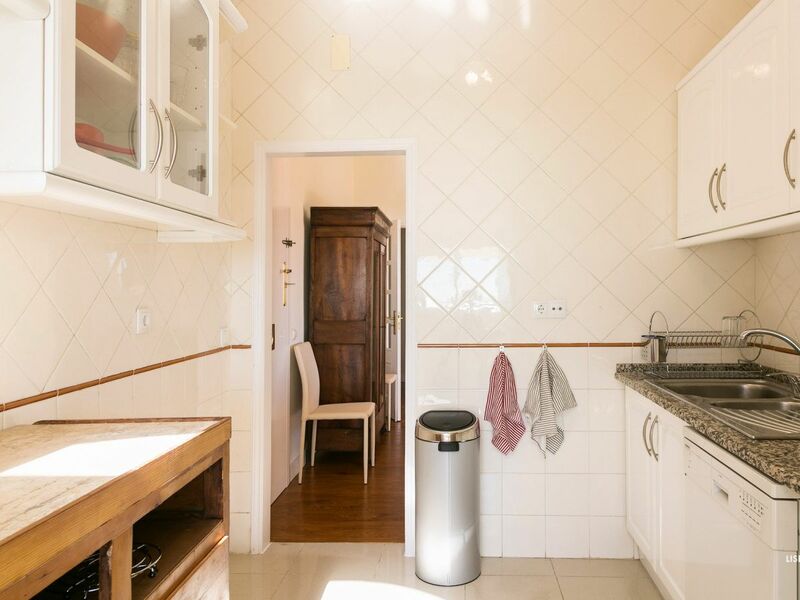 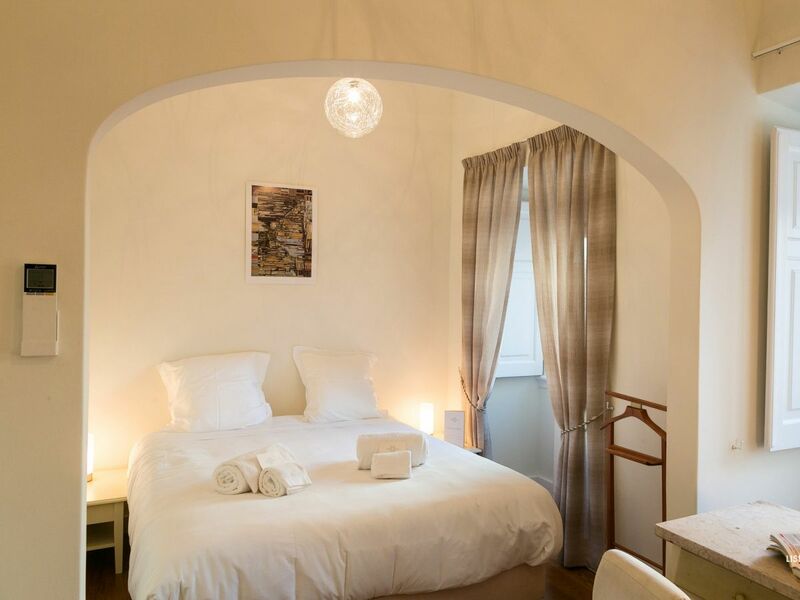 In a quiet environment, this apartment comprises two rooms, including a double room (bed 160x200 cm) and another one with a bunk bed, a fully-equipped kitchen (electric and gas plates, refrigerator, microwaves, coffee machine), kettle, toaster, dishwasher, washing machine), a lounge with TV, and two bathrooms (bathroom and a shower cubicle). 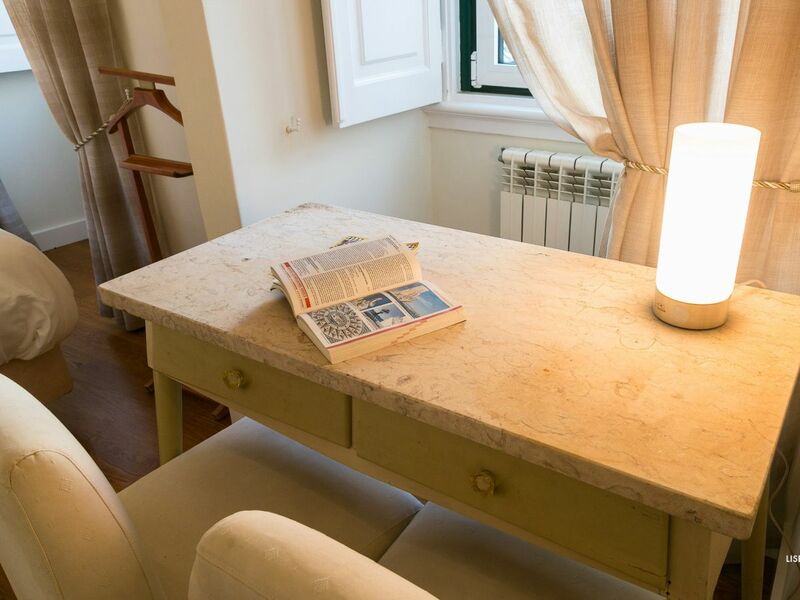 Available equipments: flat-screen TV with several international channels, Wi-Fi, reversible air-conditioner, central heating, hair dryer and iron. 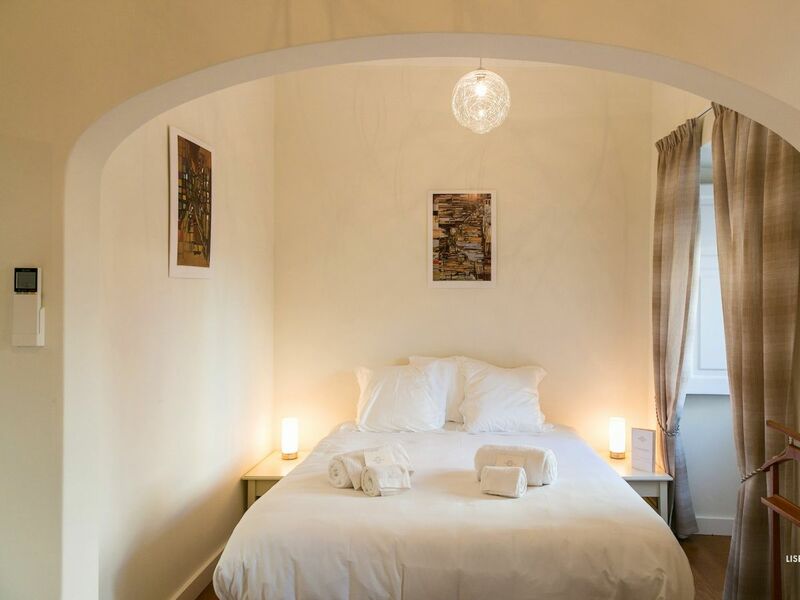 We supply you bed sheets and linen. 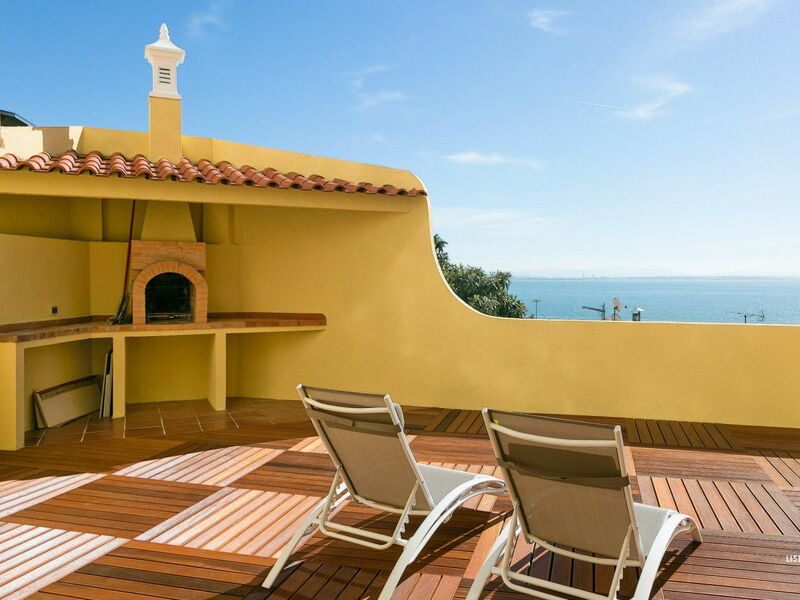 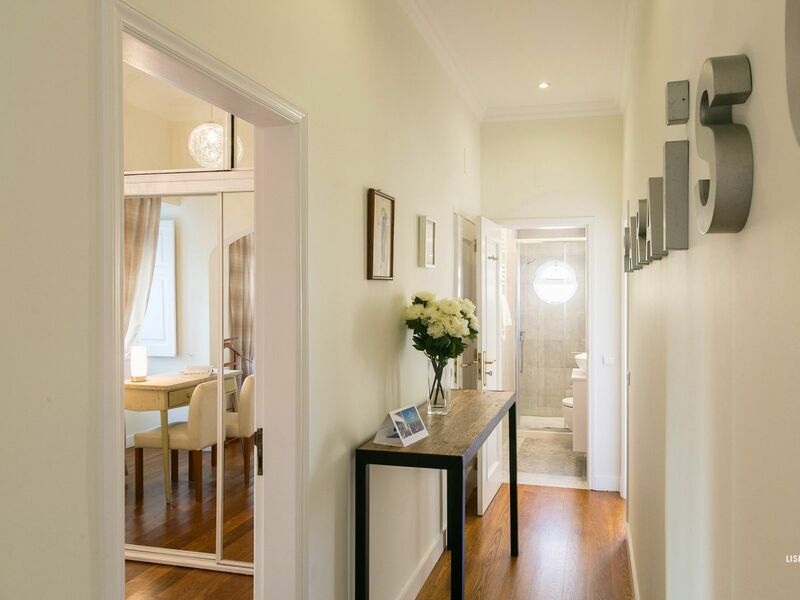 Enjoy a big terrace which offers deckchairs, garden table, barbecue, toilet and outside shower. 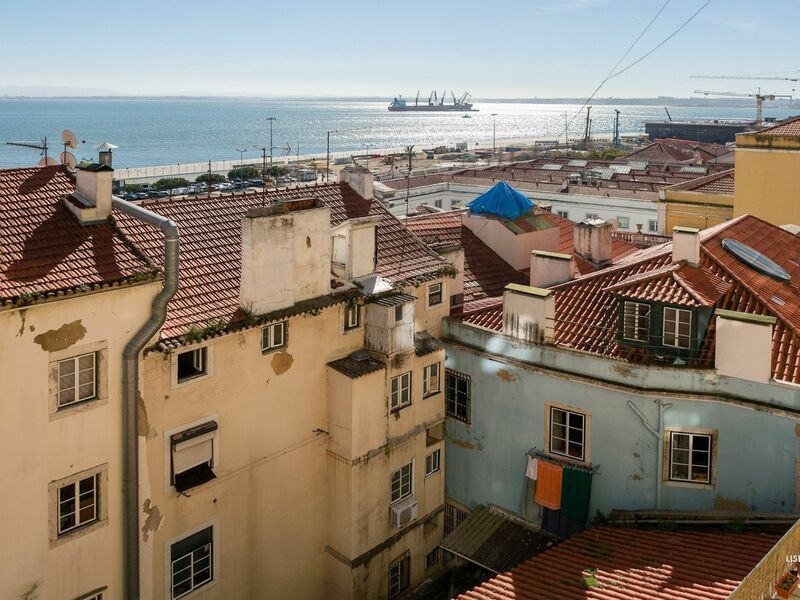 Situated in the old town, go up and down through the traditional alleys of the district of Alfama to discover Lisbon, its authenticity. 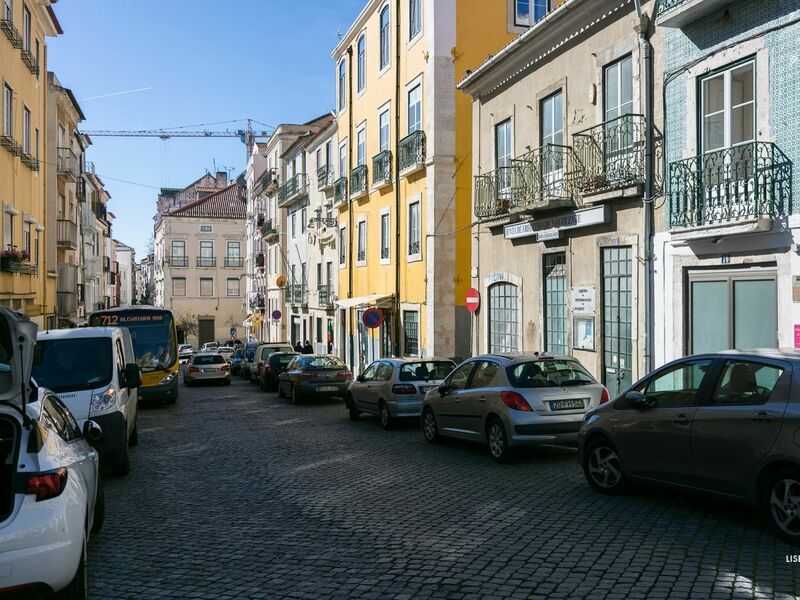 In this district there are a lot of famous historic monuments: Lisbon Cathedral, São Georges castle, National Pantheon. 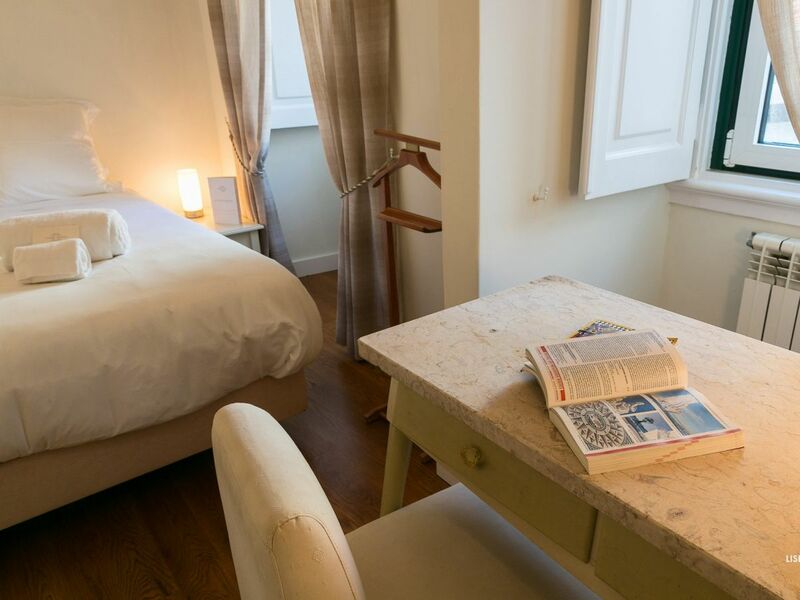 Well served by public transportation, take the typical yellow little tram,’elétrico 28’ for a unique experience! 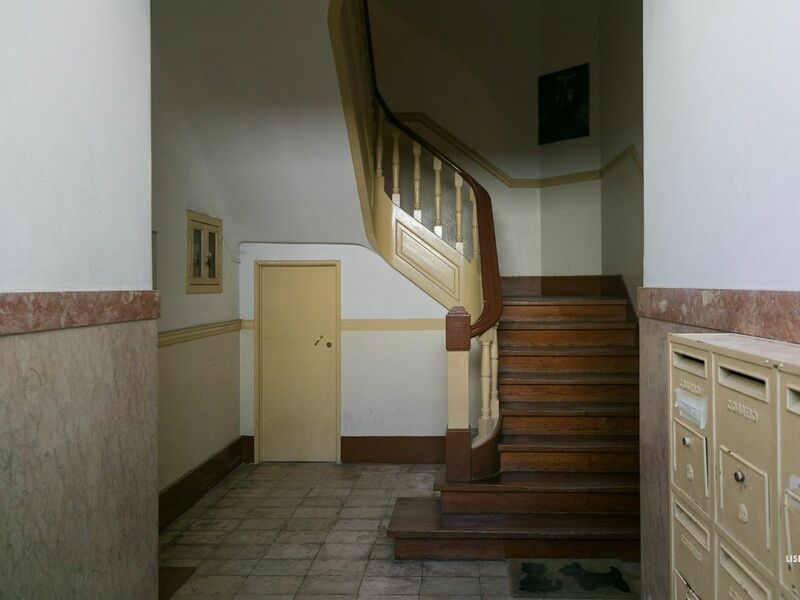 The Subway of Santa Apolonia is a 8 min walk from the apartment. 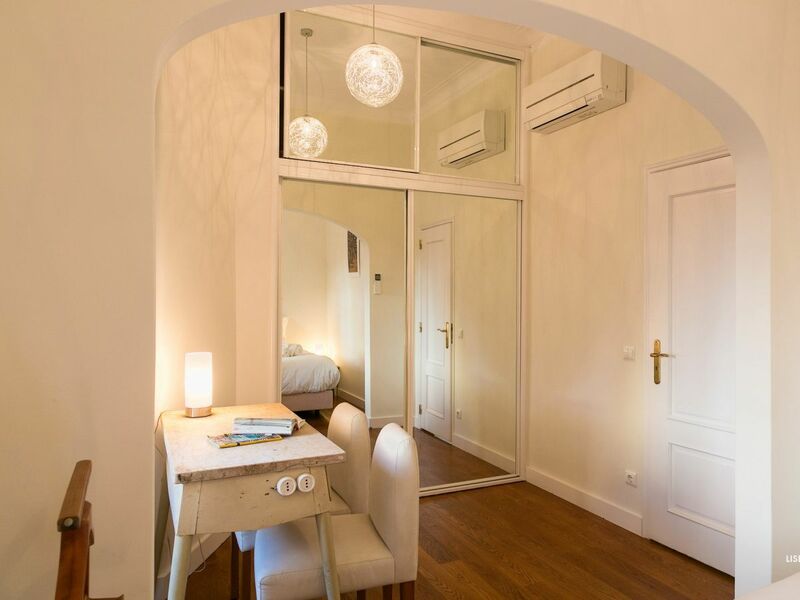 The localisation is perfect for those who are looking for both historic and modern settings , in family or in couple.